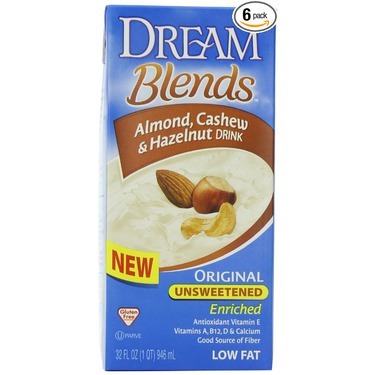 Dream Blends™ Almond, Cashew and Hazelnut Beverages are made from real almonds, cashews and hazelnuts. This creamy, delicious non-dairy delight is an excellent source of Calcium and is Gluten Free! I love love love this healthy drink. It is delicious. I added to make Chia pudding. It is great on its own. Over oatmeal. Cocktail drink. Lactose, gluten and soy free. Made from whole nuts. Vitamins. Unsweetened with a source of calcium, riboflavin, Non-GMO, viitaminD and B12 I will buy over again. VEGAN. CARRAGEENAN FREE. 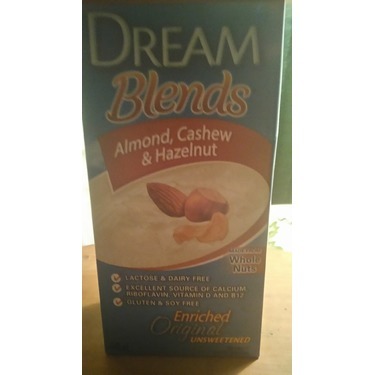 I tested the Dream Blends Almond, Cashew & Hazelnut drink. I was a little skeptical, I wasn't sure if I would like the taste or not, but I loved it! I used it primarily with muesli, in smoothies, in chia pudding and in baking where milk was required. I thought it tasted good and was an excellent substitute. I don't love the carrageenen but what can you do. 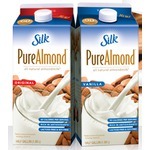 I didn't try it in my coffee, as that's the one place I actually use dairy, but otherwise I will definitely repurchase! 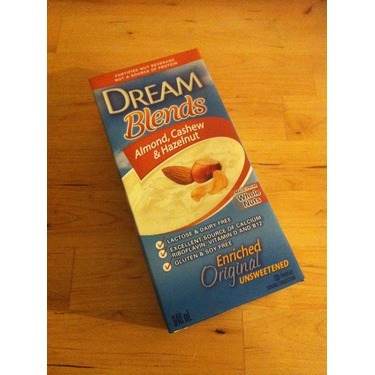 I received the Dream Blend Almond, Cashew and Hazelnut drink as part of the Product Review Club. I liked having a chance to try new flavours! 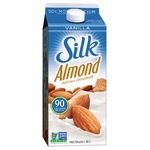 The taste is good, it's a bit nuttier tasting than the plain almond milk, but a nice taste. 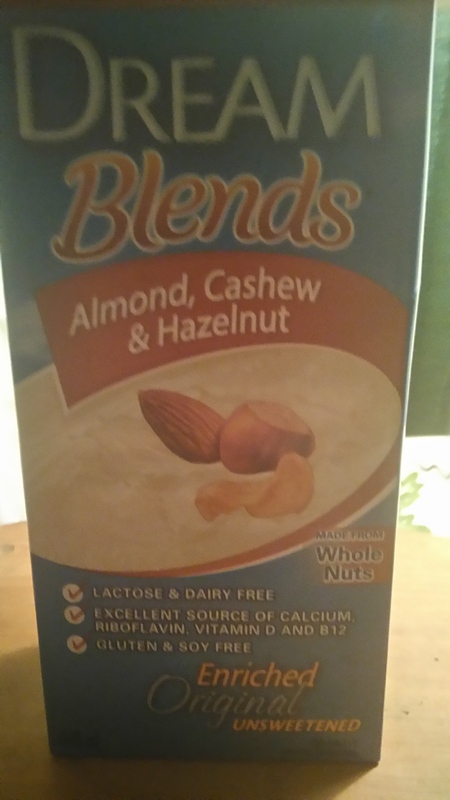 It seemed a bit thin to me, but then I only tried one box, and with my regular brand of Almond milk the consistency changes from box to box. The colour is a bit more nut coloured than white, so it doesn't look as close to milk colour. You can use it in place of milk in cooking or baking as well, and it has a nicer consistency than soy milk. 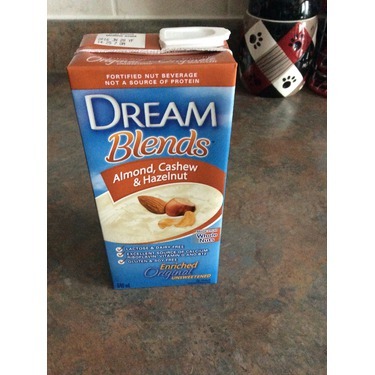 I was very pleased to be chosen by Chick Advisor to product test a Dream Non-Dairy Beverage. I have tried other non-dairy drinks in the past such as Almond milk and Coconut milk but wondered what other options where out there. I was given a Free product coupon from the Chick Advisor product review club as well as an adorable little cake tester, two tea towels and some very interesting recipes. Since I had the opportunity to choose whichever Dream product I wanted, I decided to give one of the new blends a try. This product says to serve cold, however with all the Christmas and New Years rush this year I forgot to put it in the fridge. So here I am sipping my Dream Blend over ice. I have to say it is pretty darn good. It is a little more watery that I expected it to be but delicious. Unfortunately I have a nasty cold right now and cannot taste everything exactly as it is but I am very pleased with the overall flavor of this beverage. It of coarse has a nutty flavor and is a little bit sweet which is nice since I purchased the unsweetened version. (I was scared it might be bitter) It is not. This is a shelf-stable product which means it does not have to be refrigerated until after you open it. Once opened it should be consumed within 7 days. 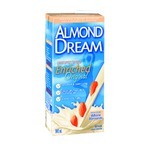 It is lactose and dairy free which is great for anyone who has problems with lactose intolerance. I do not suffer from this. I just don't like to taste of cow's milk and look for alternatives that are a good source of calcium. 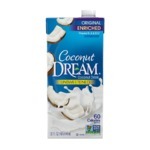 This Dream beverage is a great source of Calcium, Riboflavin, Vitamin D and B12. Yippy! It is Gluten and Soy Free. This is great because I have been reading a lot about the negative effects of Soy in our diets. I am so happy to have had the opportunity to #TasteTheDream. At only 35 calories per cup. Great taste and nutritional benefits I will certainly be purchasing this product again. Thank you @ChickAdvisor and @haincelestial. Now it is time for a refill. Maybe this time I will add it to my coffee. I bet that will taste amazing. Oh and how delicious it would be in cereal. (which I usually just eat dry. A new twist to my overnight oatmeal? Oh yes I can't wait. So many options. I love changing thing up. 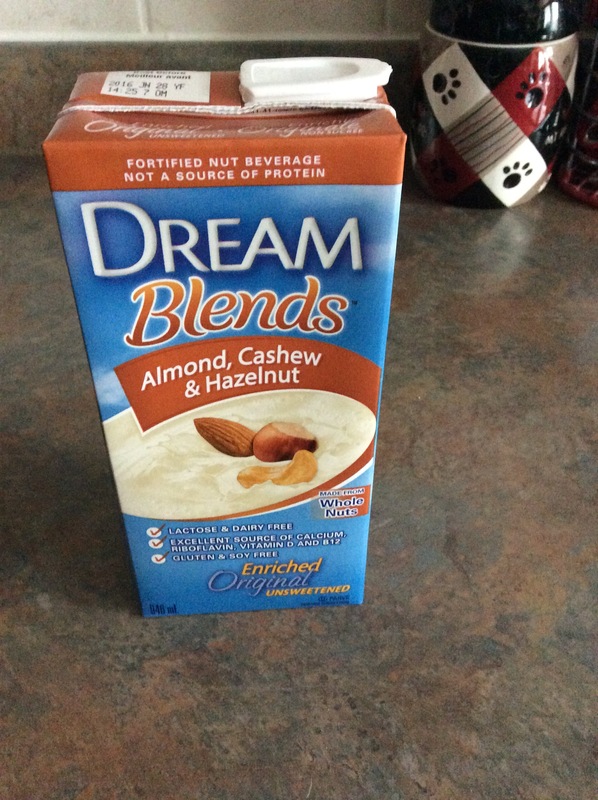 If you enjoy Almonds, Cashews and Hazelnuts, you are going to love this Dream Beverage. Thanks again Chick Advisor product review club. You Rock! Thank you chickadvisor for giving me the opportunity to try Dream! 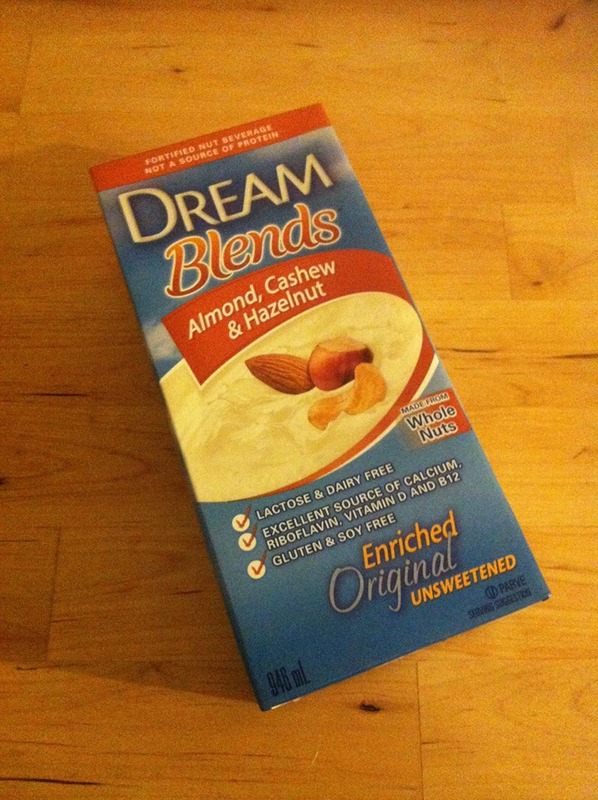 I chose the Dream Blends Almond, Cashew and Hazelnut because I love the taste and smell of hazelnut! I don't enjoy the taste of milk on its own, but I could definitely drink a glass of this. It's very light, and the 3 flavors blend so well together that you can slightly pick out each one but none are overpowering.. This drink is perfect for adding to my morning smoothies for a little extra flavour and creaminess since I usually just use water. It's also amazing in hot chocolate for a little extra flavour! I just heated it in a pot on the stove, added my chocolate and voila! Delicious!! I'll definitely be purchasing this product again, and also trying some of the other flavors! This was the best non-dairy "milk" I've tried yet! It was creamy and added a delicious nutty flavor to my coffees. I also used it to replace milk in a brioche I made and I had perfect results. I will definitely be adding the Almond, Cashew, & Hazelnut blend to my regular shopping list. May purchase again. May recommend to friends. I would definitely be interested in trying other Dream milk varieties, however, this flavour does not match up to my usual brands (Silk and Almond fresh). I like the versitility in recipes and the fact that it's easy to find in stores. Price is average. This may be an option when I make healthy shakes- otherwise, I probably wouldn't be motivated to purchase. I tried this because it was on sale and I needed milk for my coffee. I didn't like the overly nutty flavour - it was not enjoyable in my coffee and I really doubt I would drink this on its own. If on sale I would likely purchase to use in baking but that's about it.